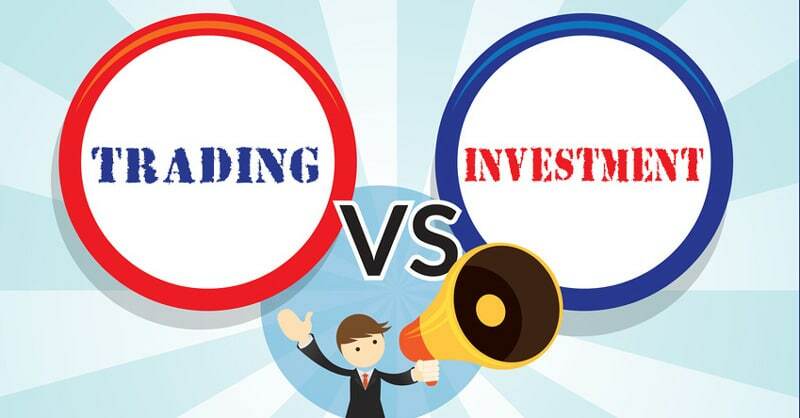 There is so much hype about the mutual fund as an asset class and so let us analyze to see if are there any real benefits of investing in mutual funds? Let us compare mutual fund as an asset class over other investment opportunities aka real estate, fixed deposit, gold, bonds etc. 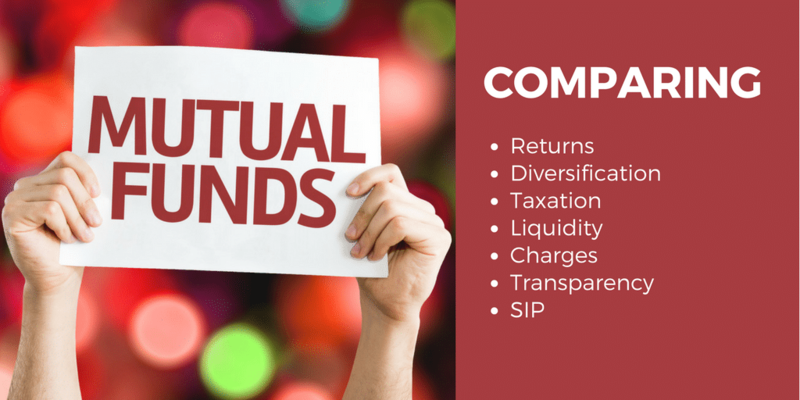 Stock and mutual fund comparison is here. The first and the most important aspect of any investment should be to beat inflation. Inflation is the rate of increase in prices of our day to day needs. So if the price of something goes up by a certain percentage point, the return on investment should beat the inflation to be able to generate returns in the absolute terms and increase the purchasing power of the investor. Average inflation in India has been around 5% for a longish period of time. The return of 7% per annum can mean the return of only 2% annually in absolute terms. Fixed deposits and PPF (public provident fund) aren’t able to beat inflation by a considerable margin and so they aren’t the best choice of investment. Real estate in some pocket of India has been able to beat inflation in the past but the question is, will it be able to beat inflation in the future as well? In the short span of time and at some given point of time, gold has outperformed inflation but not over an elongated period of time. Equity as an asset class has been able to beat inflation in the past and it is one of those asset class which can beat the inflation in future as well. So investing in equity mutual funds can provide returns which beat the inflation. Keeping all egg in one basket is never a good investment mantra and one should diversify the income potential to some extent. Gold and fixed deposits provide very little diversification. Gold can be used as an option to diversify equity investment but gold as an only choice of investment can’t provide any diversification. Similarly fixed deposits or bond can provide as a means to diversify equity investment but they aren’t able to provide diversified investment option within themselves. Real estate investment can be diversified to an extent if one consider commercial and residential properties but the ticket size of the investment is fairly large to diversify at the outset. Apart from that an individual investor can only invest in the vicinity of his location and can’t take an advantage of geographic diversification. There are vast variety of mutual funds to offer many type and kind of diversification options. Return from fixed deposits are taxed at an individual’s tax slab. If your total income takes you to 30% income tax slab, your returns from fixed deposits will be taxed at 30% tax rate. Returns from real estate investment are taxed after indexation. Real estate as an investment should always be considered if it is for a living but may not be such a smart choice only for the purpose of investing. Return from physical gold is tax-free after holding it for 3 long years and investment in gold ETF is tax-free after holding it for 1 year. Though ETF gold investment is tax-free after a year, the investment is confined to one asset class which can have a lot of volatility and can be challenging to remain invested for a complete year. Mutual funds, on the other hand, can provide much better stability and less volatility to keep holding them for over a year. The volatility in mutual funds is reduced naturally because it isn’t an investment into a single company or in one management or in one commodity. Mutual funds by its nature don’t have sharp movements on either side (Up or Down). So it is much easier to remain invested in a mutual fund for over a year than in an individual stock or in gold ETF. The best part is, even if mutual funds change their investment from one stock to other, you aren’t to pay the tax if you remain invested in the same fund for more than a year. On top of that, dividend returns from the mutual fund are tax-free as well. Mutual funds are as liquid as cash in your bank account. Some liquid mutual funds even provide instant withdrawal whereas other offers money in your bank account the same day you request the withdrawal (with a cutoff time of course). Even equity mutual funds do not take more than a couple of days to process the withdrawal and one can get the money in the bank account in a couple of days to a maximum of one week time depending on the market and bank holidays. Compare it to a real estate investment which can take few months to liquidate if you manage to find a buyer at a price you are comfortable selling. There are huge charges associated with property buying and selling with 6 to 8% (depending on your state) as property registration cost. Apart from registration costs, there are lawyers fees, property tax, maintenance and many other hidden property charges. When it comes to mutual funds, there aren’t any hidden charges. Entry load is history and if one remains invested for 6 months or so, exit load for most of the fund is NIL as well. If you invest in direct funds, the expense ratio is close to 1% and there isn’t any other recurring charges associated with mutual funds. There is no transparency when it comes to investing in real estate. You are at the mercy of the developer to give you the possession of the said property in the stipulated time. I am yet to see a real estate developer do it. Government is working hard to provide transparency with RERA but the demand-supply mismatch is so high, there is very little each of those policies brings in. Fixed deposits are more transparent than real estate but there are very few investors who may know the cost of breaking the FD prematurely or what is the term for calculation of interest aka monthly, quarterly, half-yearly or annually. There are very few asset classes where you can invest a small amount every month to build a large corpus in the long run. Recurring deposits are offered by banks but they do not provide any added advantage over lumpsum investment. Systematic investment plan or SIP in equity mutual funds not only provide an option to invest small amount monthly but provides a great way to rupee cost averaring which means investor buy more units when markets are down and fewer units when the market goes up for the same amount. Where do you prefer Investing? I am all inclined towards investing in equity and so my views will always be biased but what is your preferred choice of investment? Commercial properties, residential properties, gold, equity or recurring deposits? Share your views in comments below. You are here: Home / Mutual Fund / 7 Real Benefits of Investing in Mutual Funds Over Real Estate or Gold?